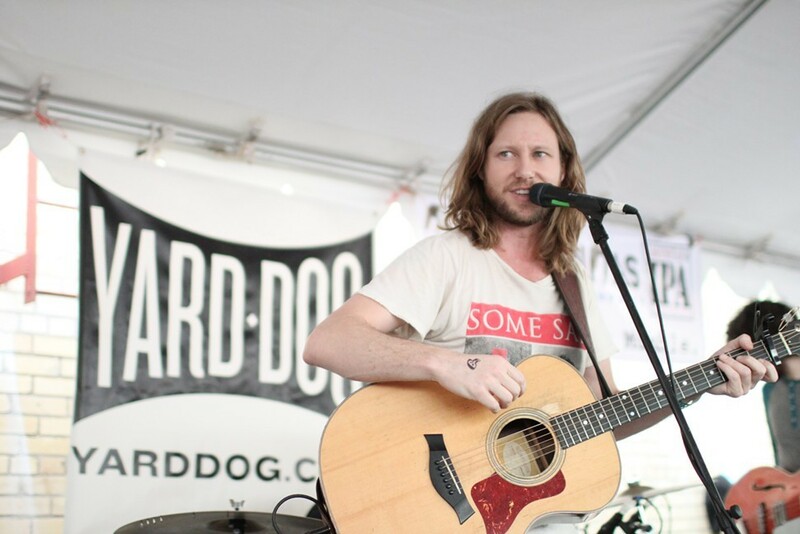 Cory Branan made his debut for Chicago's Bloodshot Records at SXSW. Cory Branan and Valerie June have a lot in common. They are both Memphis-bred, roots-oriented singer-songwriters. They're both making a new city their primary home now. They've both gone a ridiculously long time without an album on a legitimate national label, given their talents. And they both his Austin this year on the verge of rectifying that situation. 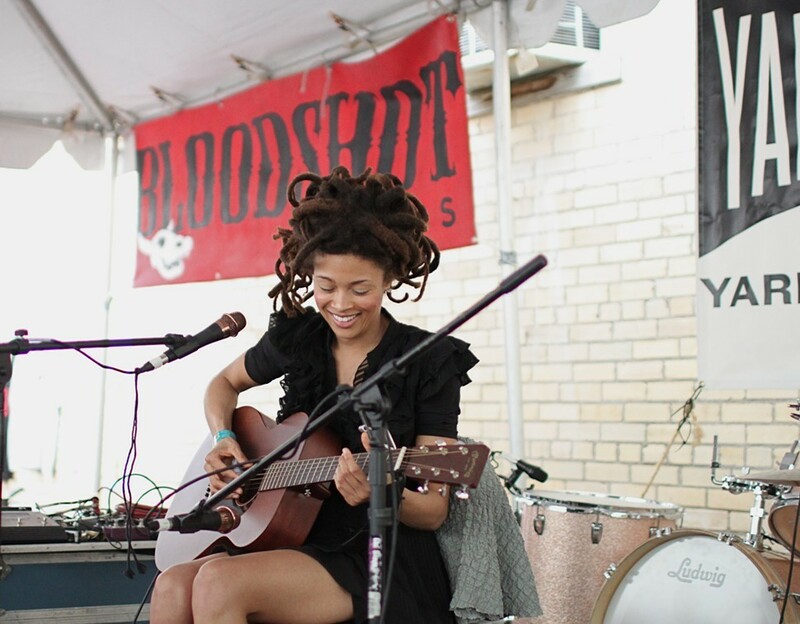 They also found themselves on the same stage Friday afternoon at the Yard Dog folk art gallery on South Congress, for the annual SXSW day party sponsored by rootsy Chicago indie Bloodshot Records. Branan, now based in Nashville, signed with Bloodshot earlier this year and was making his debut for the label at Yard Dog, ahead of an official showcase the next night. Playing with a new three-piece backing band made up of Nashville's Thriftstore Cowboys, Branan ripped through five songs from his terrific Bloodshot debut, Mutt, which is due out May 22nd. Mutt, which was recorded a couple of years ago in San Francisco, will be Branan's first album since 2006's 12 Songs and his first for an established label. It's about time. June played before Branan, telling the crowd, “I'm originally from Memphis, Tennessee, but lately I've been keeping time and cheating on Memphis with New York.” She preceded to hush and clearly surprise a previously chatty audience in a brief solo-acoustic set that found her alternating between acoustic guitar and a mini-banjo (“I brought the baby with me.”). Unlike Branan, June doesn't have her new record quite finished or her label situation sorted out. Her presence as a “special invited guest” of Bloodshot was a giveaway that the label is courting her, but they aren't alone. After a hard year of career development, June is putting the finishing touches on a debut album recorded primarily in Nashville, in close collaboration with the Black Keys' Dan Auerbach, who co-produced (with Los Angeles producer Kevin Augunas), co-wrote several songs with June, and plays on the records. Two additional songs for the album were recently cut in Los Angeles, both featuring Booker T. Jones, one co-written with the Stax icon. June tours solo, but much of the album was recorded in a band setting, with Auerbach, Jimbo Mathus, and session players Eric Deaton and Richard Swift. Reconciling these recordings with her live approach was a hurdle for June, who was concerned with exposing fans to music she couldn't replicate live. The resulting compromise is leading to an album that mixes full band tracks with solo performances, and June is happy with the result. June's official showcase Wednesday night was heavy with industry insiders who are trying to reconcile June's risky originality with her considerable commercial potential. June is currently weighing multiple label offers, from both European and American outlets, and hopes to make a decision in the coming weeks. She's already turned down one major-label-connected offer. June says the plan is to present the finished project to American labels and if she doesn't get an offer she's happy with soon, to sign a European deal (where there are current offers she likes) and release the album in Europe first, hoping that overseas sales and buzz would prompt better domestic offers. June will play the Beale Street Music Fest in early May and hit the road soon after with “The Wandering” a new roots-music supergroup of sorts organized by the North Mississippi Allstars' Luther Dickinson that also includes Amy LaVere, Shannon McNally, and Sharde Thomas. We'll have more on Branan and June's new projects in coming issues.